It’s pretty common for small homes to be lacking a fireplace. Space is always an issue for builders, and it’s a real shame because a fireplace adds more architectural interest to a home than almost any other feature. It’s also pretty expensive to add an aftermarket fireplace, although there are electric and non venting options out there. And, let’s not forget, some people love the look of a fireplace, but don’t want to deal with the mess, expense or the trouble of a real fireplace. (Me? Nope… I would take a fireplace right now, no questions asked…) So we have a solution! 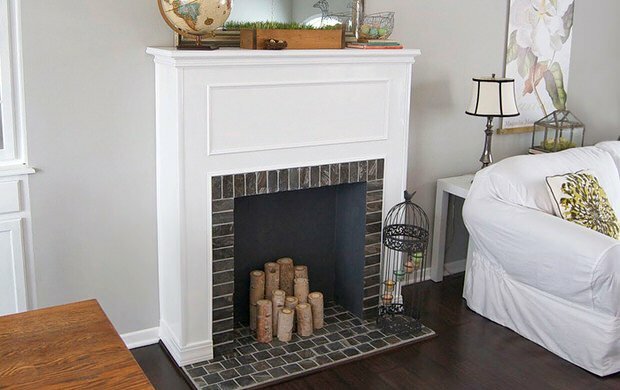 Use these DIY faux fireplace ideas and projects to create a fireplace feel instead! These projects are easy to follow tutorials and ideas that can transform your room. 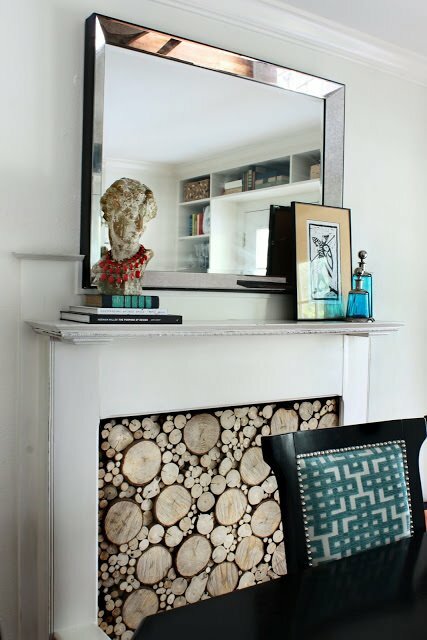 Steve and I are taking on this challenge and creating our own version of a faux fireplace and mantel this fall. (Yeah, I got gypped out of a fireplace too…Have you caught that? :)) Watch for it! In the meantime, create your own! Come the holidays, (and every cold or snowy evening in between) you will be glad you took the time for this DIY project! Photo by ‘Matsutake‘. 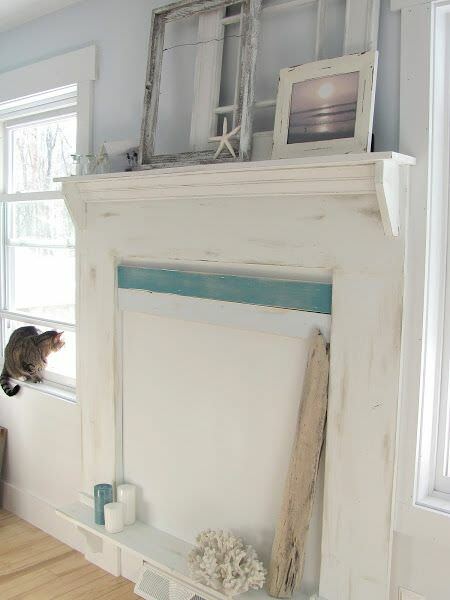 Our first project below, is a DIY faux fireplace tutorial by Holly at ‘HeartbreakKids’. What I love about this is that she made it with upcycled materials from Habitat for Humanity’s Restore… Amazing job Holly! 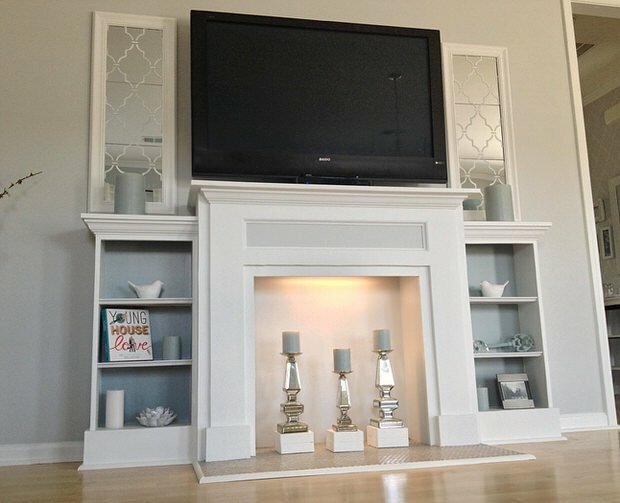 Another great DIY project from the plans at ‘Ana White’, this faux fireplace/entertainment center was created by one of her readers for less than $200. Wow! You can find the plans here. 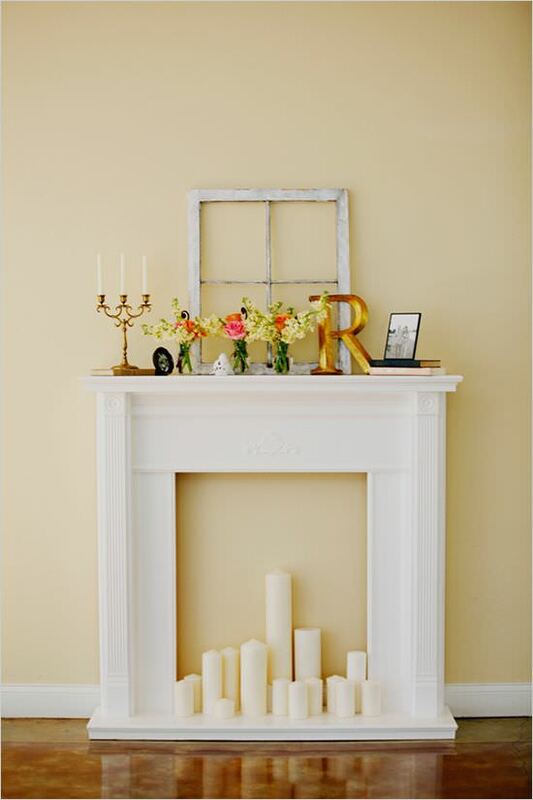 ‘The Pursuit of Happiness’ made a DIY faux fireplace and mantel for their bedroom. What a concept, huh? 🙂 Made from inexpensive MDF and scrap, they list step by step instructions and photos. 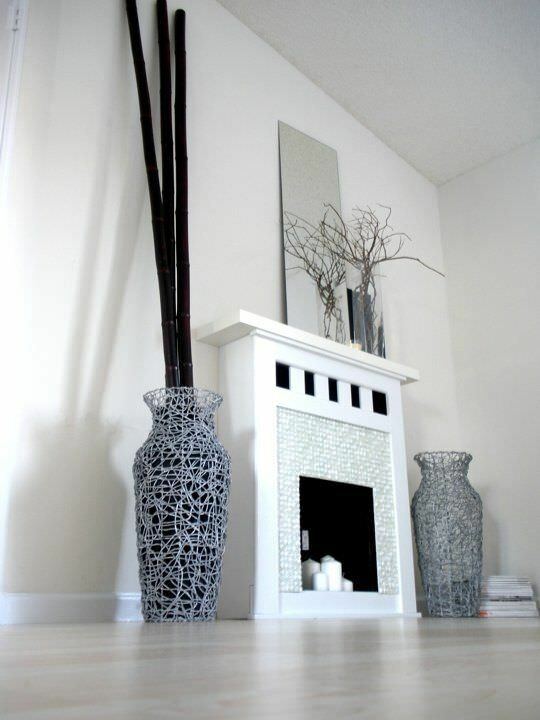 From ‘Emerald Cove Jewelry’, this DIY faux fireplace is simple, takes little space and only cost her $30 to make! I love the coastal feel! Ok, now that you have all the techniques down from all those great tutorials, I am including a few more that are just inspirational… Use them to create your own version of a DIY faux fireplace! From ‘Dreamy Whites‘ (they have the MOST amazing photos, such a romantic space!) 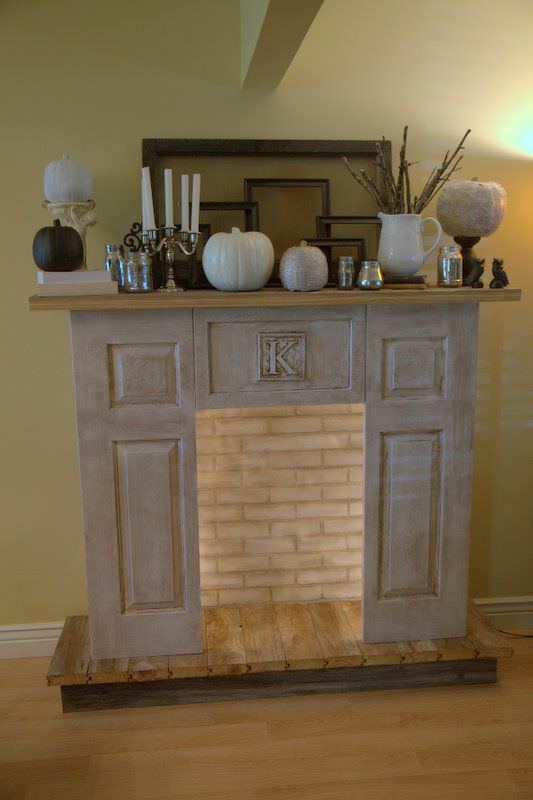 this faux fireplace is made more amazing by the accessories she chose… there is a lesson here! 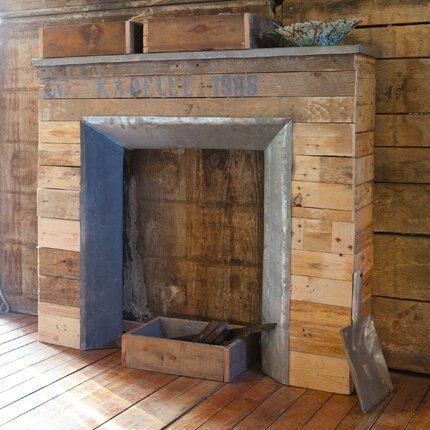 Finally, this pallet faux fireplace we found on Pinterest… It looks like it links back to Amazon, so I suspect it’s in a book about pallet furniture… Anyone know? I would love to link to the directions for this for you! Anyone already have a faux fireplace? 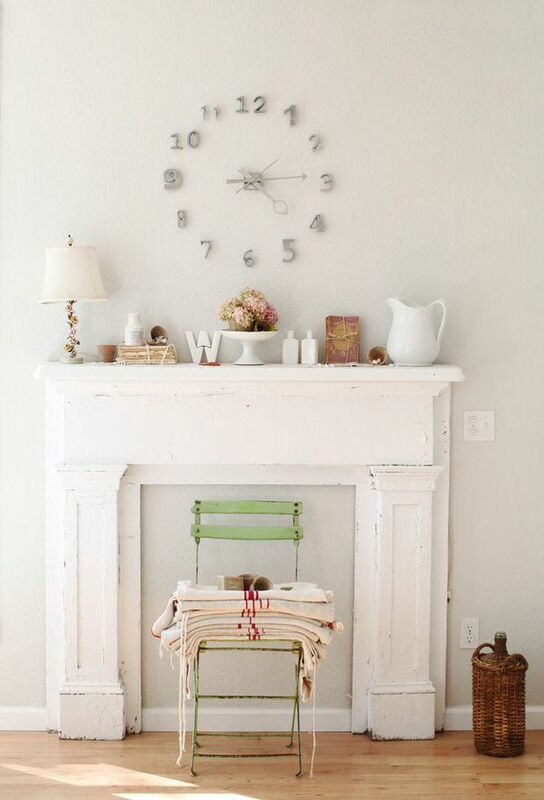 Tell us about it in comments, and be sure to also share your DIY faux fireplace adventures! Previous Post 6 Top Home Decorating Apps You Need Today! I just completed one last week !!! Thank you so much for including me in your roundup! Thx for such a great project Morgan!